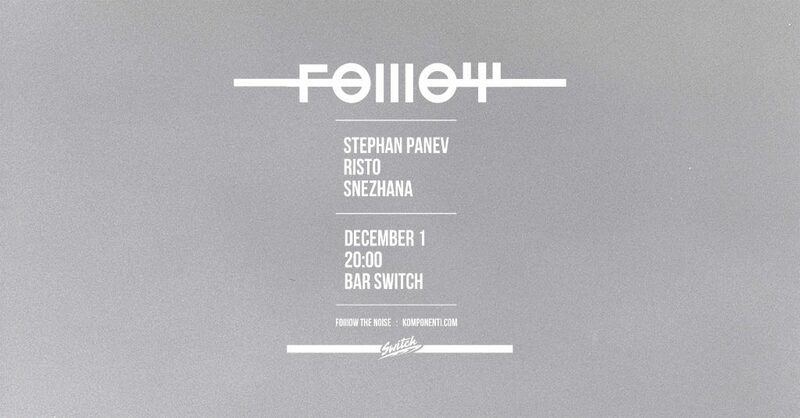 We are happy to announce Folllow – a monthly event at Bar Switch dedicated to the early hours of the weekend. Unlike our KOMPONENTI events which are based around our own output – here we are looking forward to bring you a wide variety of artists..
Once a month the Folllow events provide you with an early weekend pass & the option to hear the first few tracks played in town. Folllow is always free to attend – decision aiming to dismiss any preceding expectations or borders it might impose. As a result we have only the sound to folllow. The first edition welcomes Risto & Snezhana – already establishing their names as selectors not afraid to step out of Techno.